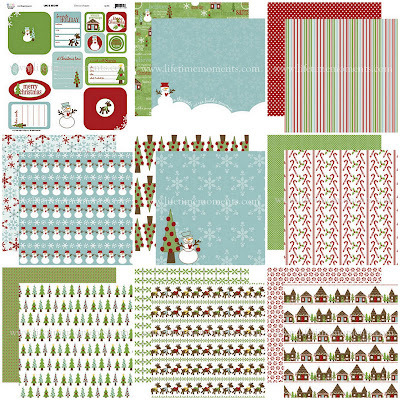 It's hard to believe that Christmas is already being thought about, but in the land of scrapbooking products are thought about 6 months in advance. Here are 5 new collections I found from companies, coming out with New Christmas Collections. The styles go from whimsy to vintage, so there seems to be a little bit of paper for everyone. How about you... are you a fan of Christmas paper? Are you counting down the day for these new releases? And What is your favorite collection out of these 5? 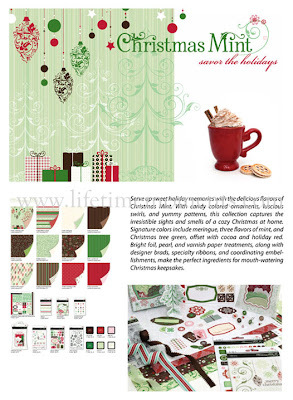 I love the MME Colorful Christmas line. I love how it's not typical traditional Christmas colors, but it still expresses the joy of the season and just the happiness it should bring. I really think I will like SEI's Winter Song. Hard to tell on the others with the small pictures - can't wait to see them all IRL. I LOVE Christmas! Those SEI lines are adorable. I always seem to like a lot of stuff from them--must be all the red they use. I've started 4 Christmas albums already, but it will take me a while to get all of the pictures together and sorted. I'm looking forward to this project, though! Thanks for the peek! I hope Santa won't mind! What great peeks at up coming scrappy goodness! thanks for the sneek peek! I absolutely love (almost) all thing Christmas. If I had to pick just ONE of these yummy lines - I'd choose SEI's Winter Song first. I LOVE the MME Merry Days of Christmas line! Love! I'm loving the SEI Winter Song Line. I love the SEI sets. I long for Christmas and can't wait for them to come out. Thanks for showing them here. I love the Merry Days of Christmas line the best (though they are all great). I can't wait till they all come out and can see them in person because I always find favorites after seeing them in person. Thank goodness their are some companies thinking outside the box. I'm loving all these Christmas papers but what I love most is I see many that could easily be used for other winter events and even other times of year. I love a line that is flexible like that. I think I like the SEI Christmas Mint the best but the MME Colorful Christmas is right there with it. The MME papers are great love the mix of traditional and not so traditional colors! 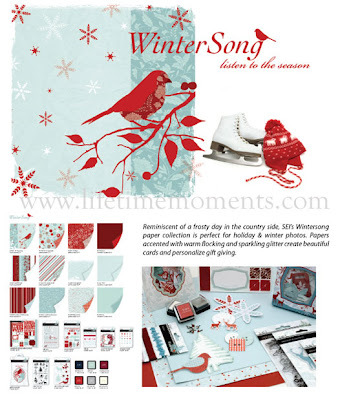 Those SEI lines are gorgeous - especially the Winter Song! Loving that red cardinal! I love them all but if I HAVE to pick one it would be SEI Winter Song. Thanx for sharing I can't wait for this stuff to hit the market. Oooh - am loving the SEI Winter Song line. I just adorable Christmas paper and always buy waaaaaaay more than I can possibly use. Thanks for the sneaks. I think the SEI Winter Song line is my favorite. Can't wait to see them all in person! I am drolling all over the SEI Winter Song!